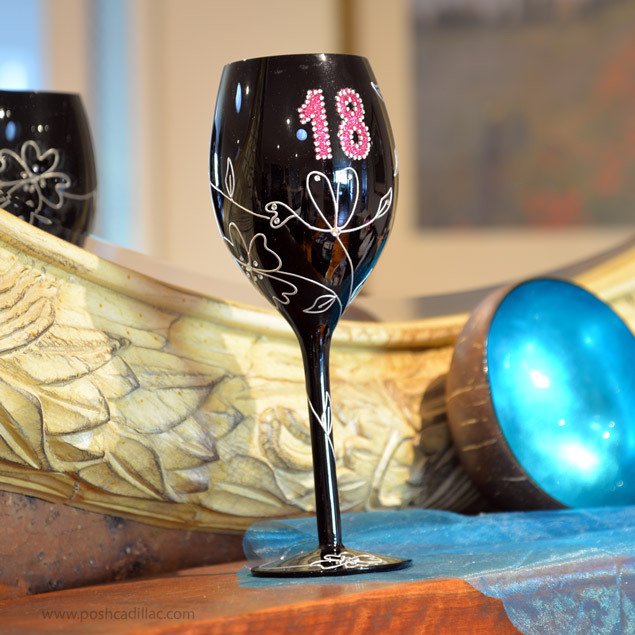 Please don’t go to an 18th Birthday Celebration without this classic…. 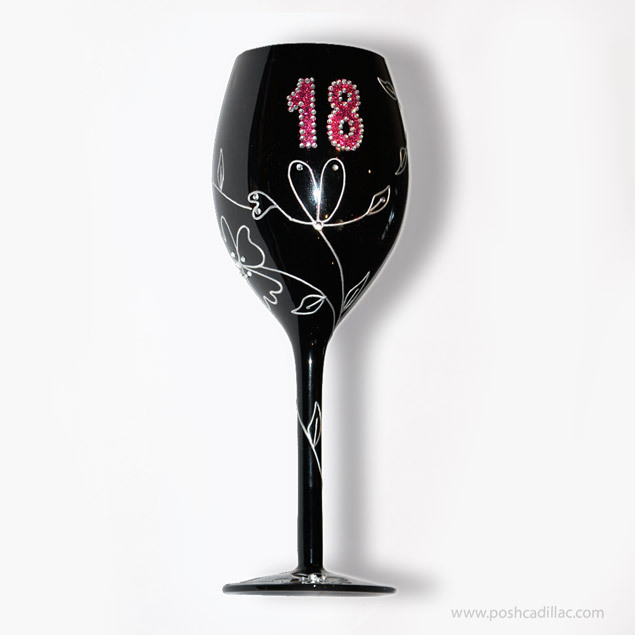 Exclusive/Deluxe/Novelty Over-sized /Large 18th Birthday Wine Glass. Renew your commitments to your loved one’s at the age of 18 years and let them know how much you love them. 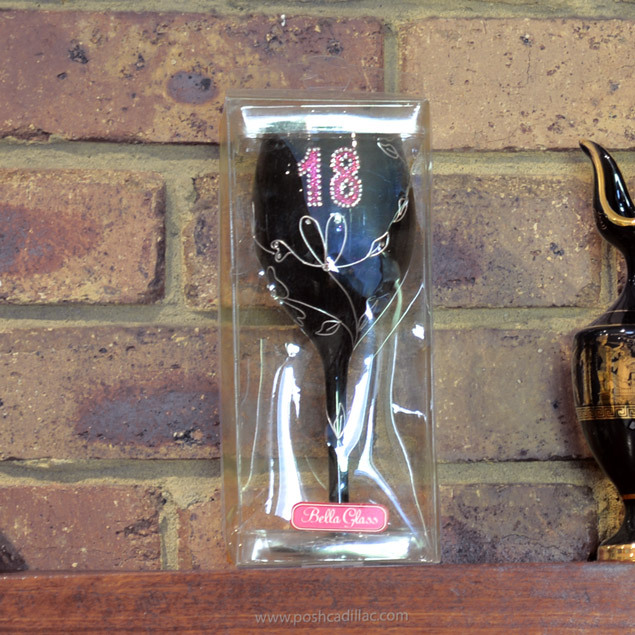 Also ideal for using on purchasing this gift on your own 18th birthday, for your special night where you want sparkle in glam, with something handmade and unique in essence & style. It’s rare black glass color, gives it just the luxury it deserves and the hand illustrated white floral, gives it the pure freshness of a new start in a flourishing life. With attention to detail, the vibrant pink of the number is decorated with crystal rhinestones.